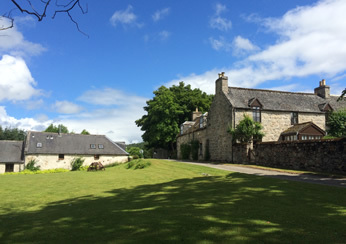 Parkmore Holiday Cottages is a complex of self catering accommodation in Scotland formed by the conversion of the old steading, farmhouse and bothy at Parkmore Farm. Here at Parkmore we offer 8 self catering holiday accommodation in the north east of Scotland. Located near Dufftown, our cottages were formed by the conversion of the old steading,Farmhouse and Bothy at Parkmore Farm. If you are looking for a self catering holiday cottage in Scotland, Parkmore is the perfect choice. We offer a large variety of self catering holiday cottages, ideal for a long or short break. Our range of Scottish holiday homes sleep from 2 to 10 people and are surrounded by breath taking views and unmissable attractions. We are close to The Lecht and The Cairngorms ski centres. Please go to the late availability section under the bookings tab.